I’m sure every Christian who uses an analog Bible (you know, the one with paper pages?) have been frustrated looking for a book in the Bible. One reason for this is that the paper most Bibles use is very, very thin. It’s a type of wood free, uncoated paper according to Wikipedia. Sometimes, it can be very hard to turn these pages. They can stick together and with the sheer number of paper, trying to look for the particular book you want to go to can be hard. Enter the Certified Positive Bible Tab Stickers! These are essentially stickers shaped in, what else, tabs. Millenials may have a hard time relating to this especially if they don’t work in an office, but it’s really a very useful tool, the tabs. But for many GenXers, this is very familiar. Tabs are mostly used in filing systems. Remember the filing cabinet? Every office has those. Inside are many folders and to be able to quickly find one, tabs are usually used to make categories of folders so that they are neatly organized. This principle is the same with the Certified Positive Bible Tab Stickers. 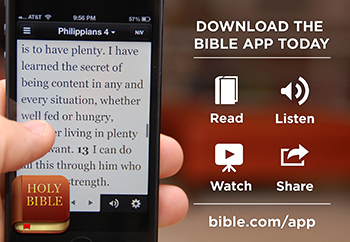 It helps you find your way around your Bible and saving precious time. For more details, you may visit www.certifiedpositive.com. Edwin is the Founder and Publisher of Jacob’s Fountain, a website dedicated to publishing content that aims to helps a believer’s walk in Jesus and glorifies God in the process. He also works as the Manager for MerchandisedDevelopment at CBN Asia, the producers of the long-running weeknight inspirational show, The 700 Club Asia. He has been working here since 1994. Edwin is also the husband to Emy and a father to his two sons, Ephraim and Edwin James. I would really love to have these bts, as a gift for my sister since it can help her in her devotion, it was really helpful and looks convenient to use. especially for the new Christians out there. It reminds me of my first Bible with book tabs on the side!